The rift within the BJP is wide open now. Amrtisar MP Navjot Singh Sidhu’s wife has created a stir by announcing on Facebook that his husband is feeling suffocated within the party and may not contest the 2014 polls too. She hinted that Sidhu may quit politics forever. Sidhu’s wife and Amritsar-East MLA Dr. Navjot Kaur Sidhu further said that her husband turned to the TV world to overcome the stress and suffocation he suffered within the BJP. 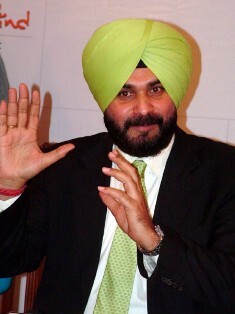 The political pundits believe that Sidhu is upset at being denied a place in the National Executive, whereas his rival Laxmi Kanta Chawla was made the Vice President. That probably forced the cricketer-turned-politician to take the extreme step. “My husband has gone back to the profession where he is respected”, wrote Navjot Kaur Sidhu on Facebook. She feels that her husband was sidelined in the party despite the hard work and clean image. He was not even consulted before the announcement of district and state teams of the party.